This program lets you experience the thrill of diving under the supervision of a Instructor in easy conditions. After a short theory lesson you will make your fun dive. Our experienced team of instructors would be delighted to make you diver to the wonders of diving with a range of courses. 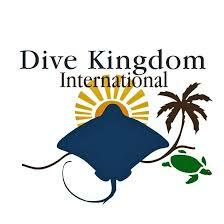 We are a PADI 5* Dive Center and train following PADI's standard system. The Maldives is one of the most beautiful places on earth and is waiting for you to come and explore it. We’ve selected some incredible places in our little corner of paradise and it’s our great pleasure to help you discover them with us.